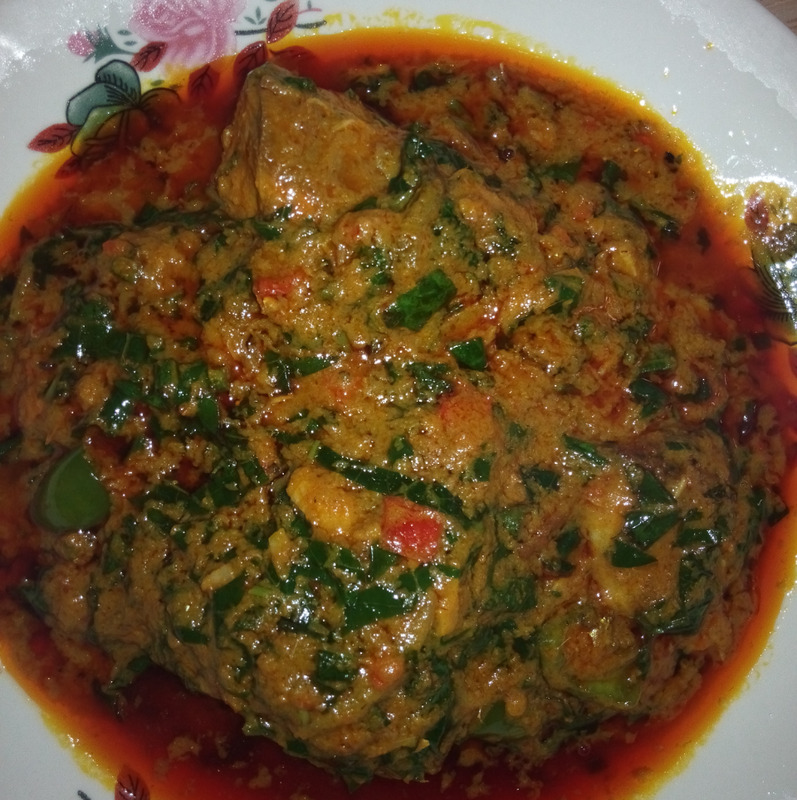 Banga stew is one stew i enjoy so much, the natural taste is inviting!!! 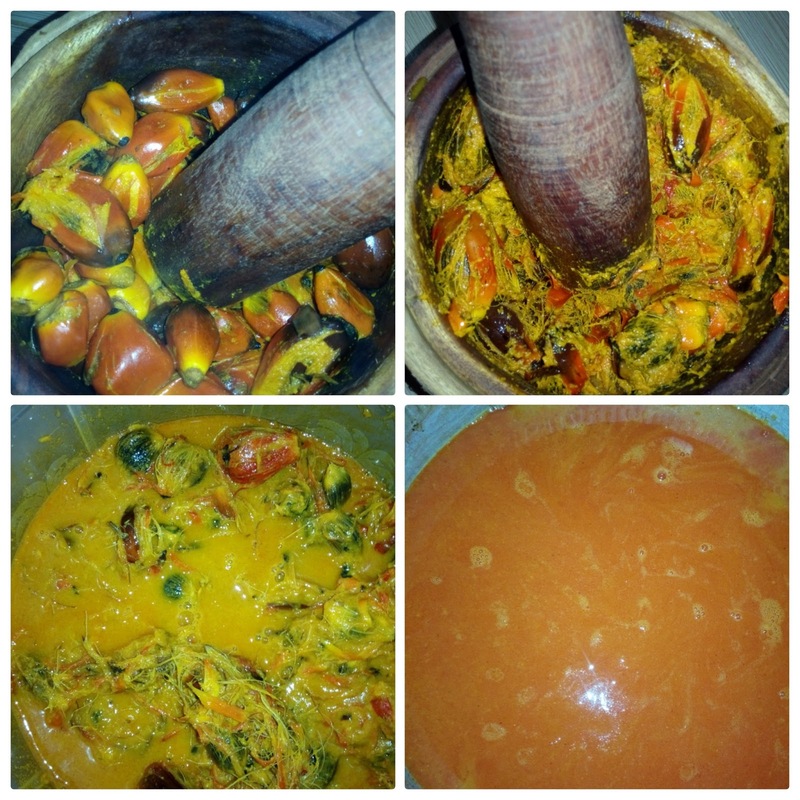 Boil banga for about 30 to 45 minutes. Pound, extract it and set aside. 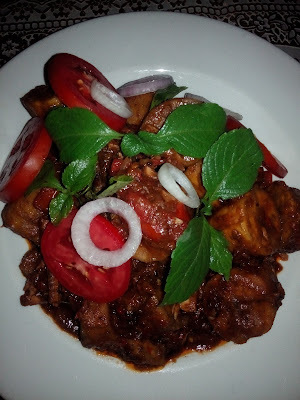 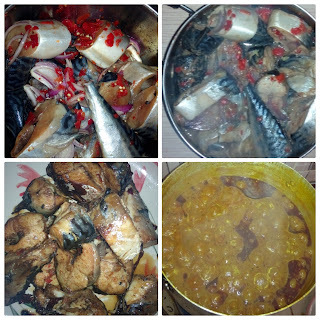 Season your fish (meat) with salt, onion, seasoning cube and fresh pepper cook, fry and set aside. 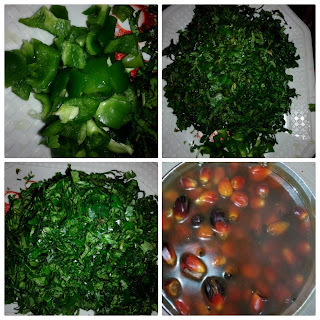 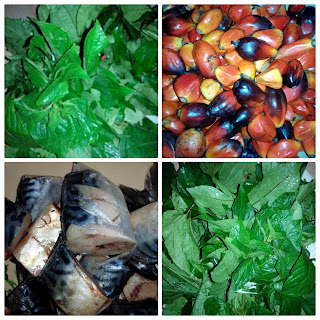 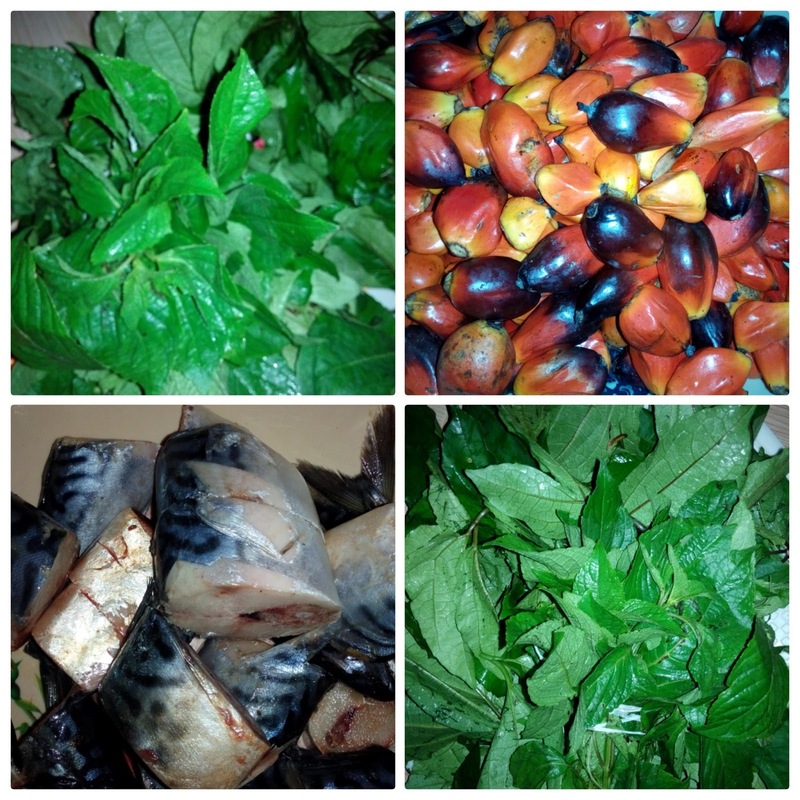 Wash and cut your scent leave, ugu leave and green pepper set aside. Set the pot of banga extract on fire and start cooking for about 30 to 45 minutes or more till it thickens you will notice some red oil at the surface. 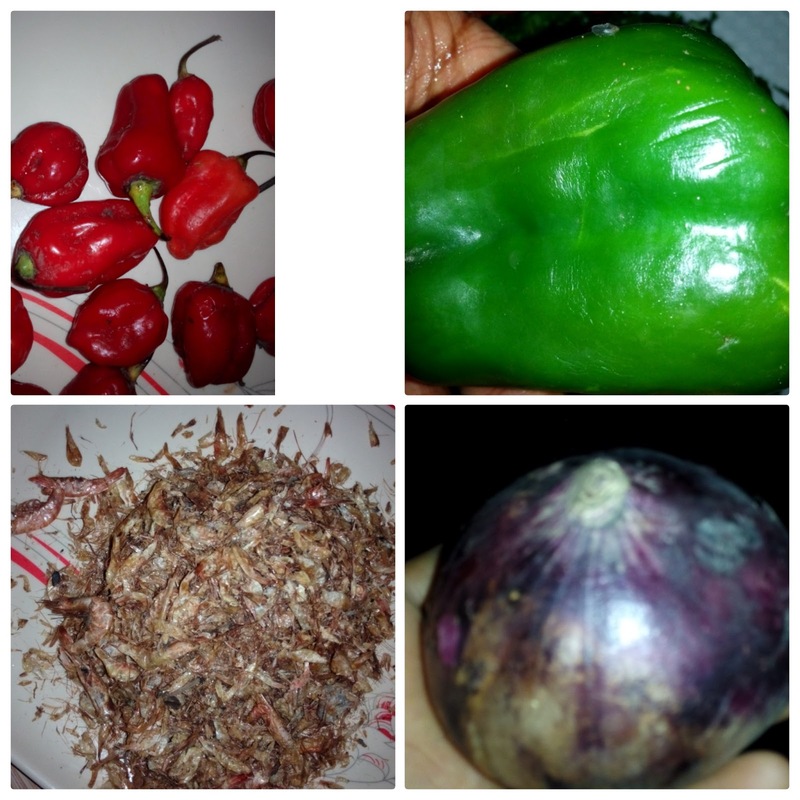 Add your cooked fish, crayfish, onion, fresh pepper, seasoning cubes and salt. 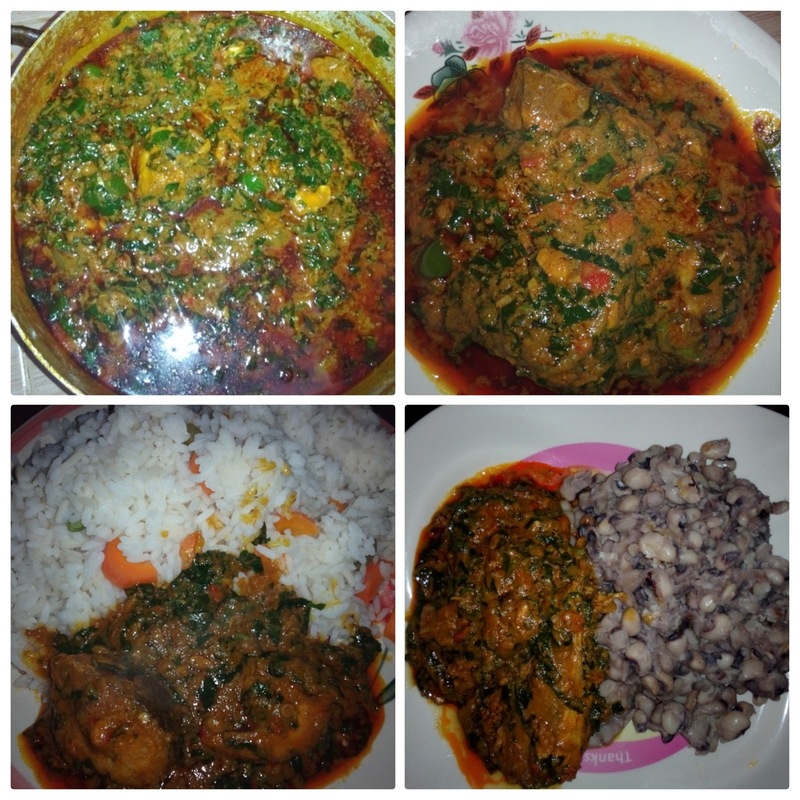 Cover to cook for about 10 to 15 minutes. Add your scent leaves, ugu and green pepper to simmer for just 2 minutes and bring down. 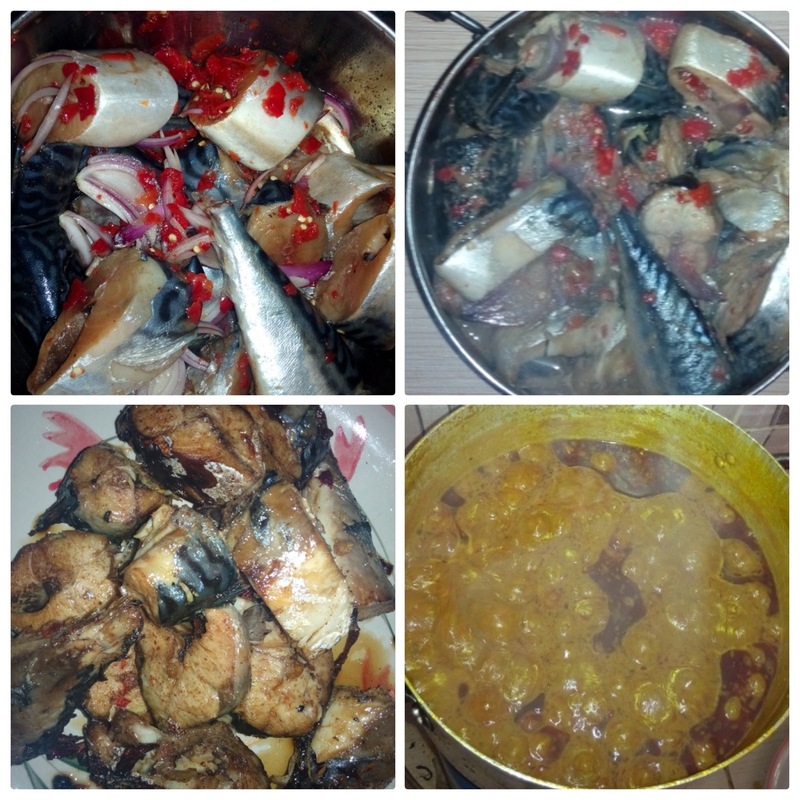 Banga stew is ready. Can be served with White rice, white beans, boiled yam.